Los jugadores elegibles para ser exhaltados al Saón de la Fama del Béisbol, provienen de un listado aprobado por un comité que descarta los candidatos menos calificados, dentro de los requisitos básicos que deben cumplir, se encuentran, tener cinco años o más de retiro del deporte activo y haber jugado diez años como mínimo en las Grandes Ligas del béisbol de Estados Unidos. 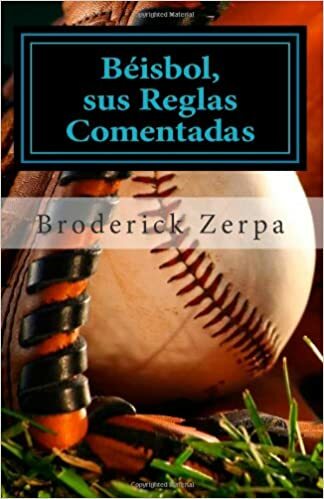 La elección se lleva a cabo por la Asociación de Escritores de Béisbol de América (BBWAA), o por el Comité de Veteranos, que consta de miembros del Salón y los ganadores de los premios Ford Frick y Spink. La boleta consta de 25 a 40 candidatos y cada escritor puede elegir hasta diez jugadores. El jugador beneficiado por el 75 % o más de los votos es exaltado, y su inducción se realiza en una ceremonia que forma parte del fin de semana de exaltación, conocido como el “HOF Weekend”. Hasta el 2001 el jugador que recibía menos del 5% de los votos era borrado del listado y no podían participar en elecciones venideras, a partir de este año, cambios en las reglas permiten al Comité de Veteranos hacer excepciones, también pueden hacer lo mismo con aquellos jugadores que fracasan en el intento de ser elegidos en los 20 años posteriores a su retiro del deporte activo. La lista de peloteros miembros del Salón de la fama es amplia, para un mejor análisis, se muestra por posición a la defensa, y managers. Los datos muestran el nombre y el año de exaltación. Roberto Alomar, 2011.Rod Carew, 1991. Eddie Collins, 1939. Bobby Doerr, 1986. Johnny Evers, 1946. Nellie Fox, 1997. Frankie Frisch, 1947. Charlie Gehringer, 1949. Joe Gordon, 2009. Billy Herman, 1975. Rogers Hornsby, 1942. Nap Lajoie, Tony Lazzeri, 1991 Bill Mazeroski, 2001. Bid McPhee, 2000. Joe Morgan,1990. Jackie Robinson, 1962. Ryne Sandberg, 2005, Red Schoendienst, 1989. Frank Baker, 1955. Wade Boggs, 2005. George Brett, 1999. Jimmy Collins, 1945. Ray Dandridge, 1987. George Kell, 1983. Freddie Lindstrom, 1976. Eddie Mathews, 1978. Brooks Robinson, 1983. Ron Santo, 2012. Mike Schmidt, 1995. Pie Traynor, 1948. Luis Aparicio, 1984. Luke Appling, 1964. Dave Bancroft, 1971. Ernie Banks, 1977. Lou Boudreau, 1970. Joe Cronin, 1956. George Davis, 1998. Travis Jackson, 1982, Hughie Jennings,1945. Barry Larkin, 2012. Rabbit Maranville, 1954. Pee Wee Reese, 1984, Cal Ripken, Jr, 2007. Phil Rizzuto, 1994. Joe Sewell, 1977. Ozzie Smith, 2001. Joe Tinker, 1946. Arky Vaughan, 1985. Honus Wagner, 1936. Bobby Wallace, 1953. John Ward, 1964 Willie Wells 1997. Robin Yount, 1999. Lou Brock, 1985. Jesse Burkett, 1946. Fred Clarke, 1945. Ed Delahanty, 1945. Goose Goslin, 1968. Chick Hafey, 1971. Rickey Henderson, 2009. Joe Kelley, 1971. Ralph Kiner, 1975. Heinie Manush, 1964. Joe Medwick, 1968. Stan Musial 1969. Jim Rice, 2009. Jim O’Rourke. 1945. Al Simmons, 1953. Willie Stargell, 1988. Zack Wheat, 1959. Billy Williams, 1987. Ted Williams, 1966. Carl Yastrzemski, 1989. Richie Ashburn, 1995. Earl Averill, 1975. Max Carey, 1961. Ty Cobb, 1936. Earle Combs, 1970. Andre Dawson, 2010. Joe DiMaggio, 1955. Larry Doby, 1998. Hugh Duffy, 1945. Billy Hamilton, 1961. Mickey Mantle, 1974. Willie Mays, 1979. Kirby Puckett, 2001. Edd Roush, 1962. Duke Snider, 1980. Tris Speaker. Lloyd Waner. 1967. Hack Wilson, 1979. Hank Aaron, 1982. Roberto Clemente Walker, 1973. Sam Crawford, 1957. Kiki Cuyler, 1968, Elmer Flick, 1963. Tony Gwynn, 2007. Harry Heilmann, 1952. Harry Hooper, 1971. Reggie Jackson, 1993. Al Kaline, 1980. Willie Keeler, 1939. King Kelly, 1945. Chuck Klein, 1980. Tommy McCarthy, 1946. Mel Ott, 1951. Sam Rice, 1963. Frank Robinson, 1982. Babe Ruth, 1936. Enos Slaughter, 1985. Sam Thompson, 1974. Paul Waner, 1952. Dave Winfield, 2001. Ross Youngs, 1972. Johnny Bench, 1989. Yogi Berra, 1972. Roger Bresnahan, 1945. Roy Campanella, 1969. Gary Carter, 2003. Mickey Cochrane, 1947. Bill Dickey, 1954. Buck Ewing, 1939. Rick Ferrell, 1984. Carlton Fisk, 2000 .Gabby Hartnett, 1955. Ernie Lombardi, 1986. Ray Schalk, 1955. Grover Cleveland Alexander, 1938. Chief Bender, 1953. Mordecai Brown.,1949. Jim Bunning, 1996. Bert Blyleven, 2011. Steve Carlton,1994. Jack Chesbro, 1946. John Clarkson.1963. Stan Coveleski, 1969. Candy Cummings, 1939. Dizzy Dean, 1953. Don Drysdale, 1984. Dennis Eckersley. 2004. Red Faber, 1964. Bob Feller, 1962. Rollie Fingers, 1992. Whitey Ford, 1974. Pud Galvin, 1965. Bob Gibson, 1981. Lefty Gomez, 1972. Goose Gossage, 2008. Burleigh Grimes, 1964. Lefty Grove, 1947. Jesse Haines, 1970. Waite Hoyt, 1969. Carl Hubbell, 1947. Catfish Hunter 1987. Fergie Jenkins, 1991. Walter Johnson. Addie Joss, 1978. Tim Keefe, 1964. Sandy Koufax, 1972. Bob Lemon, 1976. Ted Lyons, 1955. Juan Marichal, 1983. Rube Marquard, 1971. Christy Mathewson. Joe McGinnity, 1946. Hal Newhouser, 1992. Kid Nichols, 1949. Phil Niekro, 1997. Jim Palmer, 1990, Herb Pennock, 1948, Gaylord Perry, 1991. Eddie Plank, 1946. Old Hoss Radbourn, 1939. Eppa Rixey, 1963. Robin Roberts, 1976. Red Ruffing, 1967. Amos Rusie, 1977. Nolan Ryan, 1999. Tom Seaver, 1992. Hilton Smith, 2001. Warren Spahn, 1973. Bruce Sutter, 2006. Don Sutton, 1998. Dazzy Vance, 1955. Rube Waddell, 1946. Ed Walsh, 1946. Mickey Welch, 1973. Hoyt Wilhelm, 1985. Vic Willis, 1995. Early Wynn, 1972. Cy Young. Walt Alston, 1983. Sparky Anderson, 2000. Leo Durocher, 1994. Rube Foster, 1981. Ned Hanlon, 1996. Bucky Harris, 1975. Whitey Herzog, 2010. Miller Huggins, 1964. Tommy Lasorda, 1997. Al Lopez, 1977. Connie Mack. Joe McCarthy, 1957. John McGraw. Bill McKechnie, 1962. Wilbert Robinson, 1945. Frank Selee, 1999. Casey Stengel, 1966. Earl Weaver, 1996. ← ¿Los Yankees del 2012 como Boston y Atlanta del 2011?